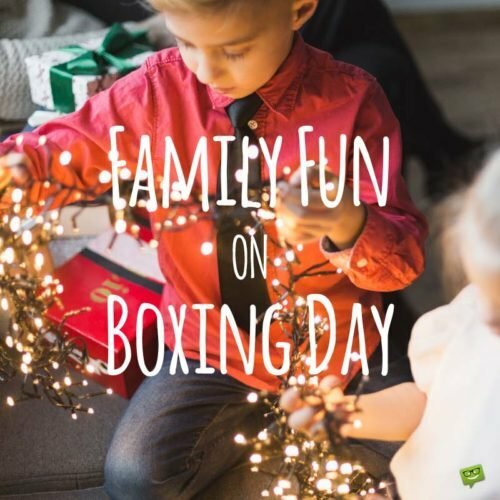 Boxing Day, celebrated annually on 26th December, seems like an obscure holiday to many, yet it has been around well over a century and has a global reach. 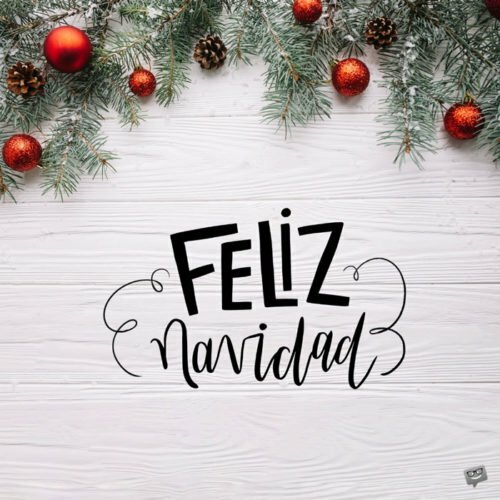 This is the second day of Christmas in several countries, and also Saint Stephen’s Day in Ireland and the Catalonia region of Spain. Here are some profound Boxing Day quotes you can use in celebrating and observing this colorful holiday. Getting an unexpected hug from someone is like finding something at the bottom of your stocking the day after Christmas. Rhiannon. The fact that Boxing Day still exists shows the significance of common laborers in British history. Happy Boxing Day to you! Let’s use the spirit upon which Boxing Day was founded to remember those that are less fortunate who also may be in need of some Christmas cheer. Boxing Day, what a beautiful holiday thou art! I’m so blessed to be able to see and celebrate you this year. 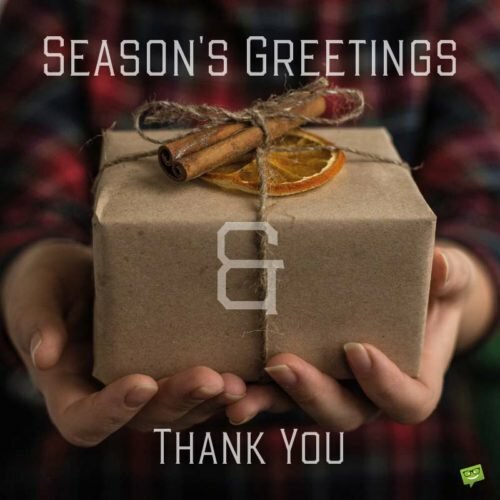 Many people don’t know that the concept of receiving a boxed gift on Christmas actually seems to be more linked to Boxing Day than December 25th itself. This Boxing Day, may God give you the strength to box and defeat all the enemies of progress in your life. I hope that you have a great Boxing Day and get to enjoy some sports while you’re at it! Some of the greatest English football matches I’ve ever seen occurred on Boxing Day. This goes to show you how special this day truly is. I know that Christmas season isn’t particularly the best time to gamble, but I plan on getting in some horse racing this Boxing Day. Boxing Day is such a heavenly day of the year due to the fact that I get to stay at home and enjoy the sweet company of my beloved family and friends. 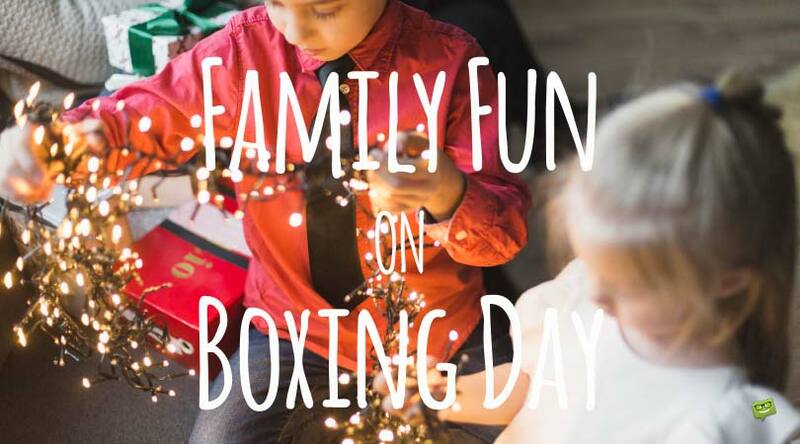 Boxing Day is a holiday practiced in Britain and some of her former colonies, and unlike other global holidays, what makes this one particularly interesting is the variety of colorful ways it is observed. Is it strange that I enjoy Boxing Day even more than Christmas Day itself? Happy Boxing Day to One and All. If you failed to do charity throughout the year, Boxing Day is a good time to head down to your local church, drop off a donation and end the year on a good note! Wishing you a blessed Boxing Day! It’s so cool to have a holiday dedicated to having fun like Boxing Day. Most of the other national holidays have some type of serious or obligatory tone attached to them. Boxing Day is yet another holiday steeped in Christian tradition and associated with martyrdom that has now devolved to be largely considered a celebration of consumerism. What an interesting celebration this holiday is! I’m very much looking forward to spending much needed extra time with family and friends this Boxing Day. There is no holiday in the United Kingdom that inspires a shopping frenzy quite like Boxing Day. Christmas is a holiday so powerful that it requires another one, Boxing Day, to be observed right after it. I believe it is totally appropriate to use Boxing Day to study the history of the Christian martyrs who inspired the international phenomenon. Although Boxing Day its traditions founded in Christian concepts and figures, it is actually one of the biggest secular holidays of the year. The fact that Boxing Day is still practiced in many former colonies of Britain shows how strong of an influence British society has had on their development. It seems rather extreme that some countries traditionally celebrate Boxing Day by holding professional boxing matches when in actuality the name of the holiday has nothing to do with the sport. In my eyes, it appears somewhat rude to have a holiday where returning heartfelt yet unwanted Christmas gifts is the norm, but I suppose it’s better to have that option than to keep something you don’t like. Boxing Day is so special it is probably the only holiday practiced in Western civilization with religious origins that are not tied to paganism. I wish I could use Boxing Day to actually box my boss instead of unrealistically expecting some type of gift from him. Happy Boxing Day to the world! If only Boxing Day was truly concerned more with giving then receiving, then the holiday really would be practiced in more countries. Boxing Day is observed in many diverse locations and by millions of people around the world yet you would have a difficult time finding someone aware of its meaning or origin. The origin of Boxing Day seems to be a culmination of a number of traditions centered around charity. If you ever wanted the experience of participating in a well-organized fox hunt, Boxing Day is a good time to travel to the UK and do so. Some people really want to make sure their Christmas gifts are delivered on the 25th, but if you’re not preoccupied with such, you can wait until Boxing Day to capitalize on post-Christmas Day deals. 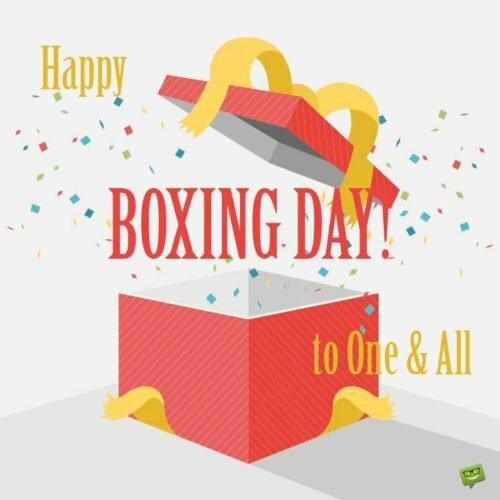 Wishing you an exciting Boxing Day! Honestly my favorite part of Boxing Day is the shopping aspect, where I often have the opportunity to purchase items for less than during the height of the Christmas season. There are many great deals to be had if you go out shopping on Boxing Day in the UK, but you also need to be prepared to deal with potentially raucous shoppers. Despite its widely misinterpreted designation, Boxing Day is deeply rooted in Christian tradition, lore and ethics, which is why for instance it is dubbed St. Stephen’s Day in Ireland. Family Fun on Boxing Day. It would be cool if the overall concept of Boxing Day, using Christmas as a formal opportunity to give to the poor as well as service-oriented workers you regularly interact with, was also adopted in the United States. I agree that giving workers an additional day off during Boxing Day is noble yet can also sympathize with business owners, especially those in food service and retail, who may choose to operate on this day. If I were to observe Boxing Day, I’d rather call it St. Stephen’s Day like the Irish, since this title gives a better, albeit terse, understanding of the concepts the holiday was founded on. Wishing all my loved ones a super duper happy Boxing Day, year and life. May God bless us all!